Tetri Mania Deluxe debuts on VOLT Casino’s gaming platform today on International Tetris Day, featuring a cinematic game-play experience consistent with the game’s international appeal. Tetris is a tile-matching puzzle video game, considered one of the most popular of all-time, while Tetri Mania Deluxe is a stunning video slot inspired by this iconic game. Tetris was originally designed and programmed by Russian game designer Alexey Pajitnov and derived its name from the Greek numerical prefix tetra, since all of the game’s pieces contain four segments; and tennis. Interestingly, Tetris was the first entertainment software to be exported from the Soviet Union to the United States. Tetris is a popular use of tetrominoes, the four-element special case of polyominoes which have been used in popular puzzles for over 100 years. There are hundreds of millions of Tetris-branded products being played, worn, and enjoyed by fans in their everyday lives. Tetri Mania Deluxe is a homage to the popularity of Tetris, which spans generations and has evolved into a lifestyle brand among fans worldwide, making jackpots from Tetri Mania Deluxe a fun, natural fit for a casino slot gaming experience. 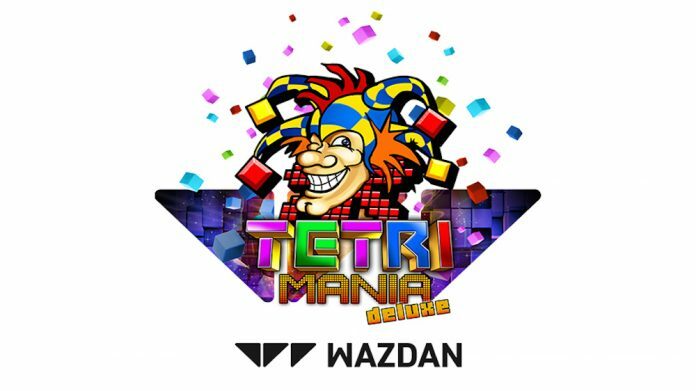 With 4 cascading reels and 9 paylines, Tetri Mania Deluxe adds exciting visual features, such as Wilds, Scatters, Free Spins, Multipliers and a Mystery Bonus drawing up to 200 times the stake, as well as incredible graphics created at Wazdan’s studios and attention-grabbing animations. Tetri Mania Deluxe highlights the distinctive Tetrimino playing pieces in the unique Gamble feature. The firm’s HTML5 portfolio of award-winning games will grow further this month with the release of three further games, Magic of the Ring Deluxe, Fruit Mania Deluxe and Hot Party Deluxe. All it’s games including the latest hot releases will be on show at iGB Live in Amsterdam.